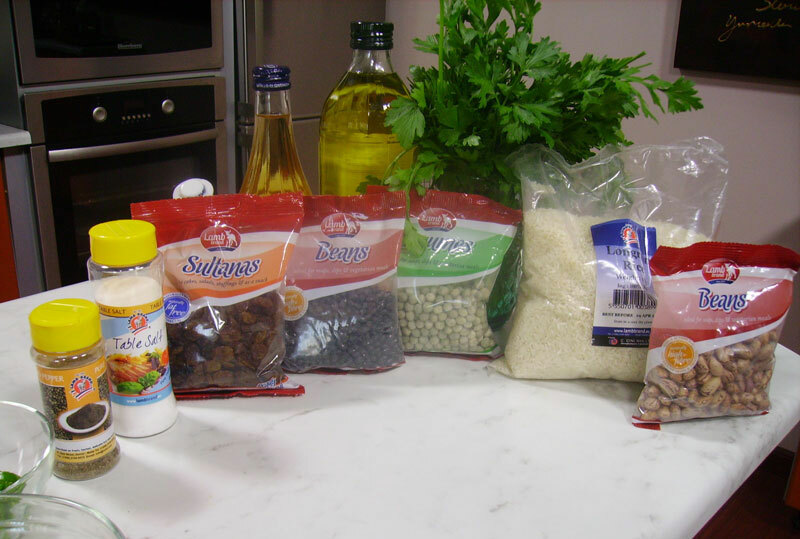 Soak the beans and whole peas separately for a minimum of 5 hours or overnight, changing the water from time to time. Rinse, add to small pot, cover with water and cook over a medium heat until beans and peas are soft. Let cool. Rinse well the rice under running cold water. Put it in a pot, add 350ml water and bring to a boil, uncovered at medium heat, until it comes to a boil, simmer the rice covered for another 15 minutes. Fluff it up with a fork. 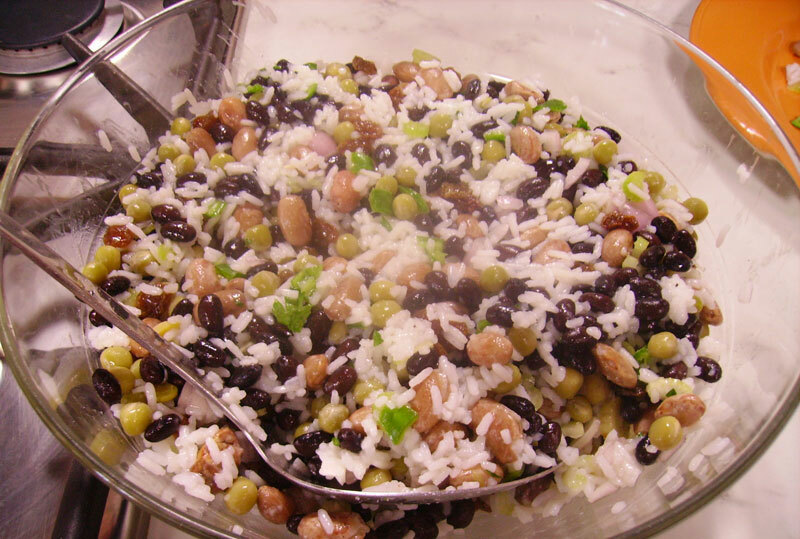 In a large salad bowl, combine the rice, beans, peas, sultanas, celery, onion, chilies and parsley; mix well. In a tight-fitting lid jar combine the remaining ingredients; shake well. Pour over rice mixture; toss to coat.